It is 2019, yet we are already looking to the 2020 election. The GOP has their man already in place, although I am sure there will be one or two challengors that will quickly quit the race as they find the support within the GOP too strong for Trump to try to crack open. The other side we have mainstream Democrats such as Biden, possibly Clinton again, running on what has been the Democratic platform for the last ten years, but they are not the ones to watch, it will be the Bernie Sanders and other far left actors that are going to drive this election forward. We have the newest players on the field, although they are not showing any sign of running for president, some couldn’t even if they wanted to due to being immigrants, you have players like Ocasio-Cortez, Rashida Tlaib, the two socialist darlings of the left, along with them they have Rashida fellow Muslims and racist anti-Semite, Ilhan Omar. Illhan Omar made such anti-Semitic attacks that even Pelosi objected and forced her to apologize. This is nothing new for her, seems she and remarks like this go back a long way, worse than she is we have Rashida Tlaib who has attacked with rabid anti-Semitic attacks, who supports the terrorist groups like Hezbollah and Hamas, is a strong supporter of CAIR with its ties to terror. This seems to be the new face of the DNC. Although we have the old voices like Pelosi and Schumer, we saw with their response to the Israeli Prime Ministers speech during Obama’s terms in office where their real intent stood. There are also other newcomers, along with the old players, such as Elizebeth Warren with her continued claims of being a Native American, who has had to eat crow and issue an apology after finding my dog had more Native American genetics in him then she did. Julian Castro is another Obama administration official that dreams of sending us back to the ineptitude and race baiting we saw for 8 years under Obama. 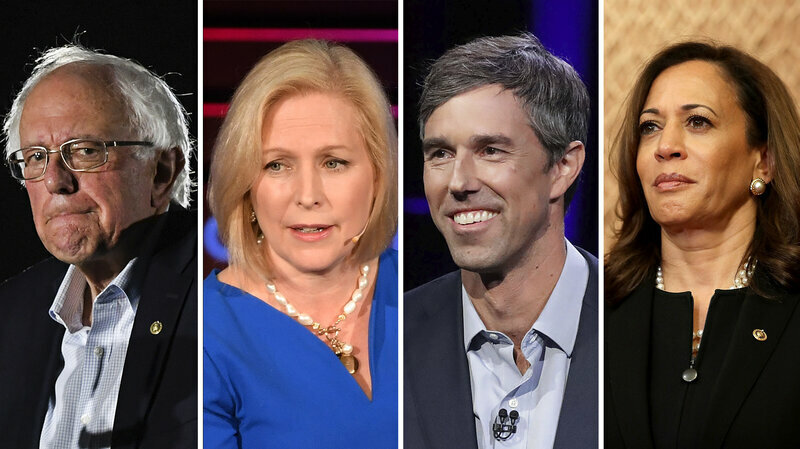 O’Rourke of Texas, Gillibrand of New York, along with others. We are going to see one thing though; if you are white, you will come under immediate attack for your supposed privilege as the Left moves further and further into identity politics. Some worry that the left is moving so far left, towards the socialist far left, but I think it is a great thing. We have the voters from the left and right, they are not going to change their votes, it is the Reagan Democrats, the independents, and the undecided, the small group that sits center left and center right, these are the ones that decide the election. As the Democrats move more and more to the radical left, they are going to find themselves losing the people that voted for them on the center left and right, these people are going to vote for Trump or abstain from voting due to a dislike of all running. NextHey Democrats, No Collusion, What About Russia?